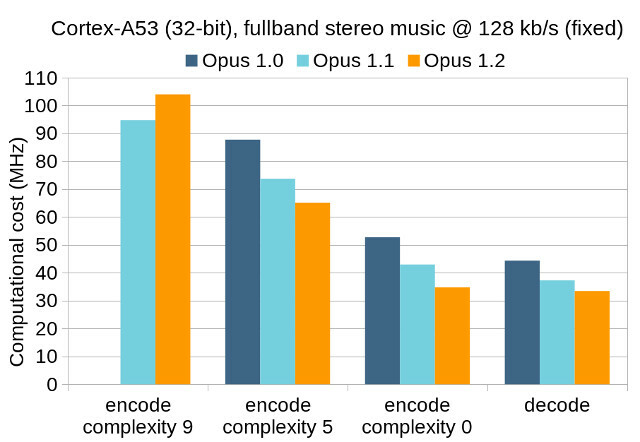 The Xiph.Org Foundation has recently announced the release of Opus 1.2 open source audio codec with ever lower high-quality audio bitrate for music (32 Kbps) and speech (12 Kbps), faster encoding and decoding, and other tweaks to the standard and library. 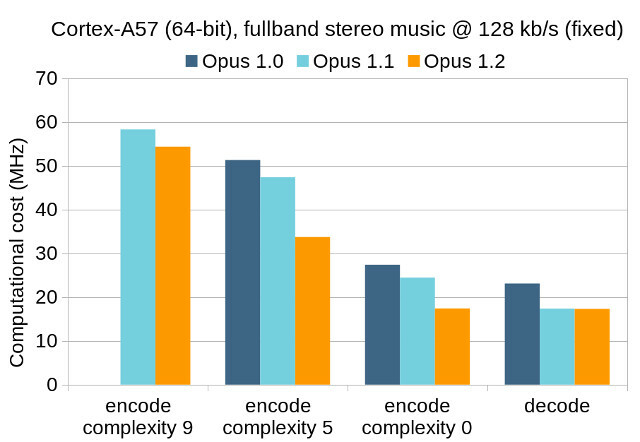 If you’ve never heard about Opus or need to refresh your memory, you may want to read my previous article about Opus Open Source Audio Codec. The developers improve music quality by “adjusting the bit allocation trim, improving tonality analysis with better frequency resolution, and improving quality on signals with a few very powerful tones”. You can compare Opus 1.0, 1.1 and 1.2, and MP3 at different bitrates with the samples below. You’ll need a browser that support Opus and MP3 in HTML5 for this to work (Chrome, Firefox and Opera do), or you may hear another samples as if Opus support is missing the file will be played as a very high bitrate MP3, and if MP3 support is missing, a very high bitrate Opus transcode will play instead. 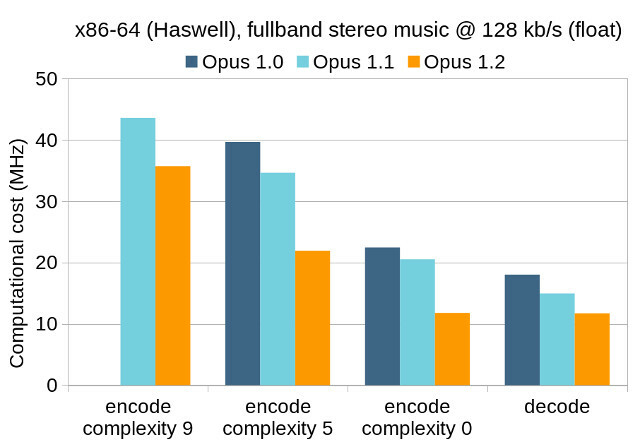 Speech has different requirements from music, and the developers improved the SILK and CELT encoders respectively handling up to 8 kHz, and 8 to 20 kHz in what they call hybrid mode. 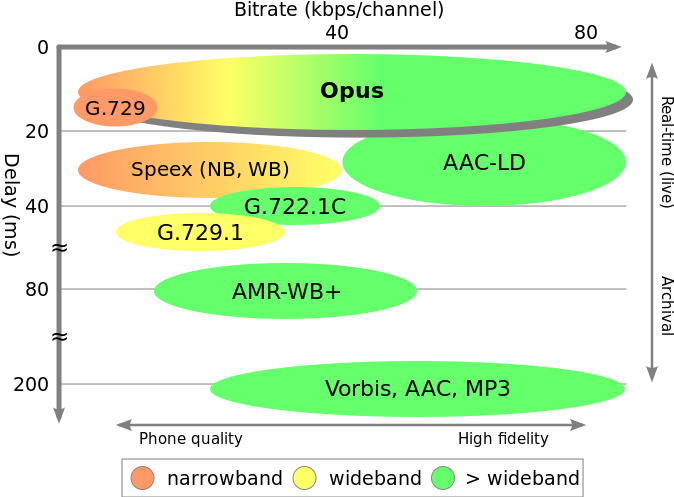 Opus 1.2 is said to add hybrid-specific tuning for both spreading and time-frequency resolution switching, and disables the use of the allocation trim. You can check out the samples below by yourself in browsers that support Speech and Opus. Beside improvements in quality at the same bitrate, or lower bitrate with the same quality, the encoder and decoders now operate faster on both ARM and x86 targets in most cases. If you’d like to try it yourself, you can build the library and sample by adapting Opus build instructions to libopus 1.2.1.
is it better than he-aac v2 though ?